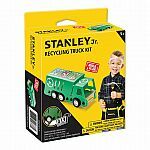 For generations Stanley Tools have been part of growing up, with parents and children developing a special bond while creating and building together. 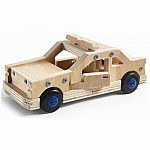 Our line of high quality Stanley Jr. real wood craft kits allow families to build a special project that they will be proud of and will inspire them to do more. 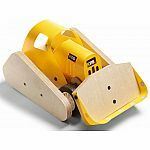 Our line of real "kid-sized" tools are just right to build our kits and the perfect way for your child to learn how tools are used and to prepare them for the future. Measures approximately: 5.50 x 2.50 x 7.00 inches..